"I never know what the future holds, just like everyone else." Earlier in the day we featured the very first international (UK) trailer for Richard Curtis' About Time, his new romantic comedy featuring time travel. Domhnall Gleeson stars and Rachel McAdams (in another time travel movie) plays his love interest, plus Bill Nighy his father. There's some fantastic lines of dialogue in this (Curtis is a superb writer) and I can't wait to see it, but I much prefer the international trailer to this one in many ways. This trailer is just a bit too generic, and oversells the actors and some dialogue, but not so much the heartfelt story. Take a look! Love doesn’t always go to plan, but imagine you had a way to redo all your mistakes? At the age of 21, Tim (Gleeson) is told an incredible family secret by his father - that all the men in his family have the ability to travel in time. He can relive any moment in his life to try things differently until he gets them just right. Here's the brand new official poster for About Time, featuring both Domhnall Gleeson & Rachel McAdams. 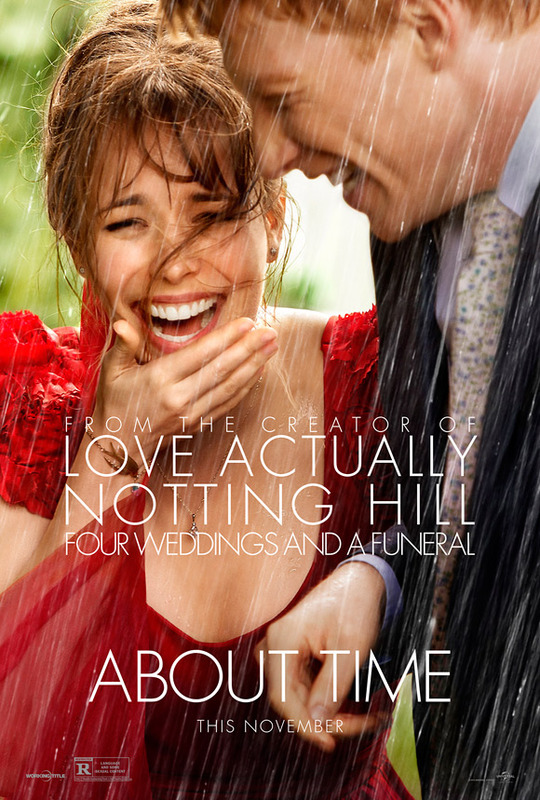 About Time is both written & directed by acclaimed filmmaker Richard Curtis, who has only directed two films prior: Pirate Radio and the classic Love Actually; however he's written the screenplay for Notting Hill, Bridget Jones's Diary and War Horse, too. Universal Pictures currently has Richard Curtis' About Time scheduled to arrive in limited US theaters November 1st, after the UK release in September. Look good?